A central bit of research necessary for historical fiction is finding out just how long it takes to travel back in the day. Ella Wood takes place in 1860. I put the plantation on the map along the Ashley River between Summerville and Ladson, which is approximately 20 miles outside downtown Charleston, SC. So how long would it take to make the trip into town? That would depend on the method of transportation as well as the condition dictating that type of travel. Boats will only go as fast as a river’s current unless a power source is used. 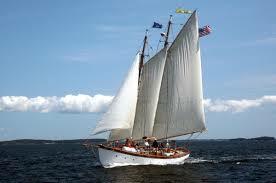 Ella Wood’s plantation schooner would make use of the wind, though it could also be rowed. I had to do some research here on how sailing a river actually works. It’s best if you sail faster than the current so you can control your rudder. The strength of wind and the amount of sail used determines your speed. But you also have to consider the direction the wind, as tacking becomes necessary if you travel against it. Nearest I could tell, by digging into some tide/current charts, the Ashley River flows at a top speed between 1.7 and 2.3 mph, depending on the tides, which depend on the position and phases of the moon and change ever 6 hours. During rising tides, the river actually flows backward! But those river speeds were recorded where it starts to widen, so I assumed a little faster upstream. According to various sailing sites, small sailboats do best at 5-12 knots in open water, less in a river. With so many factors affecting speed, I arrived at a very unscientific 4 to 5 mph average downstream speed, assuming my boat leaves at ebbing tide and must fight rising tide for at least a couple hours. I doubled the distance to Charleston to account for all the twists and turns or the river. My best guess is that a trip downriver would take between 8 and 10 hours. Upriver would take probably a third to half of that again, though they could catch upstream tides. In earlier centuries, roads would have been the slowest way to travel. I assumed that by 1860 the roads to these incredibly wealthy plantations had become somewhat decent. Still bumpy gravel with the chance of sandy or muddy conditions, but not the abysmal wilderness tracks of previous generations. And these wealthy gentlemen would have had the motivation and wherewithal to keep them passible. According to various horse sites, stage coaches ran between 3-5 mph. Another site gave average horse walking speeds between 3-4 mph, trotting speeds between 8-10, cantering at 10-17, and a gallop at 30ish. I walk at 3 mph easily and for long distances. 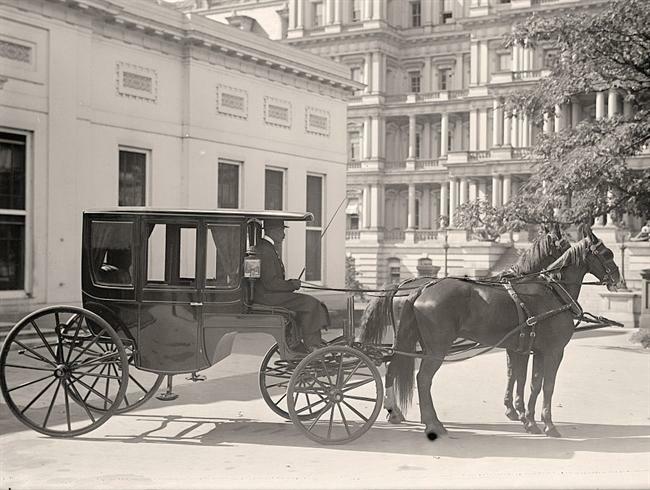 As this is a 20-mile trip, and that’s considered a full day for a horse, and assuming roads aren’t too terrible, I figured a team pulling a light carriage could easily sustain 4 or even 5 mph average over 20 miles, making it a 4- to 5-hour trip. Based on numbers and websites above, I figured a horse carrying an 180-pound man could easily maintain an average 6 to 7 mph for 20 miles. A railroad ran from Charleston to Ladson, which was four miles from Ella Wood. I had to dig into antebellum trains, and learned that most Southern lines were pretty shoddy by Northern standards. (They were often rebuilt by Union troops.) I dug into some particulars on this railroad line and figured a ballpark 15 miles per hour speed. Taking into consideration the two railway stops (total guess at 12 minutes each, including slow and start times) and the four miles by horse to the plantation, I came up with just over 2 hours. You can see several hours of research went into these simple figures. Historical fiction does take an exorbitant amount of time, but I want to be as accurate as possible, even in the small details. It makes the whole thing come off as more plausible. And honestly, I love the challenge and process of discovery. Oh, just for fun, it only takes about 11 minutes to drive from downtown Charleston to Lasdon today. Wouldn’t the Preston family be shocked! I love knowing tidbit about the research you did. Sounds like a lot of math involved. Did experts in the area also help you? Marathon runners would cover 20 miles in a much shorter time. I imagine that 20 miles seemed like a long trip before trains, and the earliest motor vehicles. Makes you wonder how much ground a slave could cover on the run — it would take forever to head north. Nope, no experts. Just my best conservative estimates based on charts and websites of experts. I’ve wondered how long it took slaves, too. They had hard, strong muscles, but not good nutrition, coupled with desperation. Amazing how many made it, if you think about the odds. Good for you. I hate when lack of authenticity takes me out of the flow of a historical novel. Gotta do that work! Your readers will appreciate it even if they don’t notice themselves doing so.